Primary care practices are turning to telemedicine as a way to become more efficient, stay competitive, and increase revenue by seeing more patients. These benefits aren’t confined to primary care alone. The approach is also gaining traction across a wide variety of specialties. Here are a few that are a perfect fit. The option of video visits makes managing conditions like congenital heart defects and cardiovascular disease easier on patients and providers alike. High-definition video, which is now widely available, makes it possible to diagnose and treat many skin problems remotely. Treatment of endocrine conditions like diabetes and thyroid disease requires frequent adjustments to hormones and medications. Telemedicine reduces the burden on patients and increases the likelihood of consistent follow-up. Patients with chronic conditions like Crohn’s disease, hepatitis C, and colitis require close supervision and medication management, making telemedicine an ideal choice for gastroenterology practices. Treating patients with cancer, sickle cell disease, iron deficiencies and other conditions requires careful execution of the treatment plan. Conducting some visits remotely reduces travel cost and time for patients. Using telemedicine nephrologists can develop care at home plans for patients who have been through kidney replacement surgery and those with kidney disease. Video visits are ideal for a range of women’s health issues from family planning to postoperative care. Telehealth is an excellent way to monitor the mental health of patients, adjust medications, and conduct cognitive behavioral therapy. For patients with bronchitis, COPD, asthma and other lung conditions, telemedicine is a convenient alternative to some in-office visits. Telemedicine is a good option for the treatment of acute and chronic urinary tract infections and many issues related to male reproductive organs. It is an efficient way to deliver post-operative follow-up care. This list of specialties that can see value in telemedicine is not exclusive by any means. 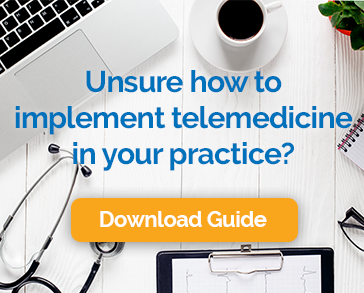 As providers and patients become more comfortable with telemedicine, we expect to see even more types of specialty providers take advantage of the approach.